Freemax Fireluke Mesh Tank Review - Daily Vaping Deals & The Best Vape Product Reviews at Vaping Cheap! In this vape review, we’ll be taking a look at the brand new Freemax Fireluke Mesh sub ohm tank. The original Fireluke sub ohm tank was quite popular and performed well. This new addition to the line of Fireluke tanks is completely different and offers something innovative, which is the inclusion of Mesh replacement coil heads. We’ve seen many RDAs being released recently that support mesh builds, but none where the coil head actually features mesh as the heating element. 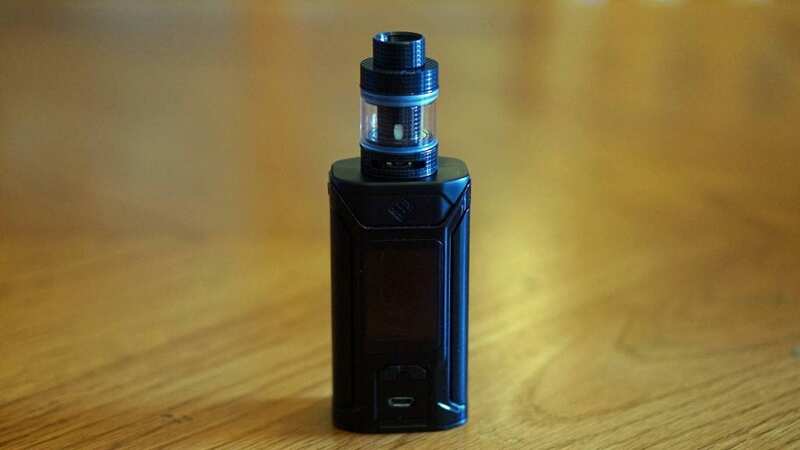 Before getting any further into this review, we’d like to thank Heaven Gifts for sending this atomizer our way for the purposes of this review. We’ll cover our first impressions, usage, performance, pros and cons, and conclude with whether or not we recommend the Freemax Fireluke Mesh Tank! Click Here to Check Out the Freemax Fireluke Mesh Sub Ohm Tank! The Fireluke Mesh Tank by Freemax comes in a relatively standard packaging that we see with most sub ohm tanks on the market today. 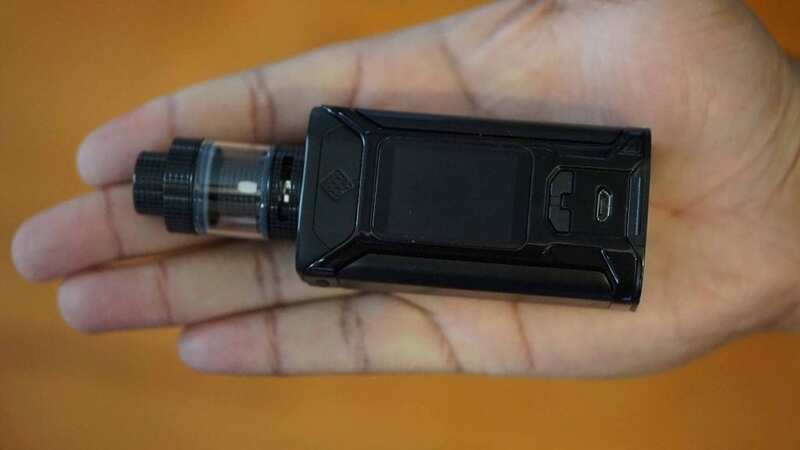 It’s a clear plastic case with the branding right in the front, and some minor information provided on the back that tells you what’s included alongside some minor details about the vape tank itself. 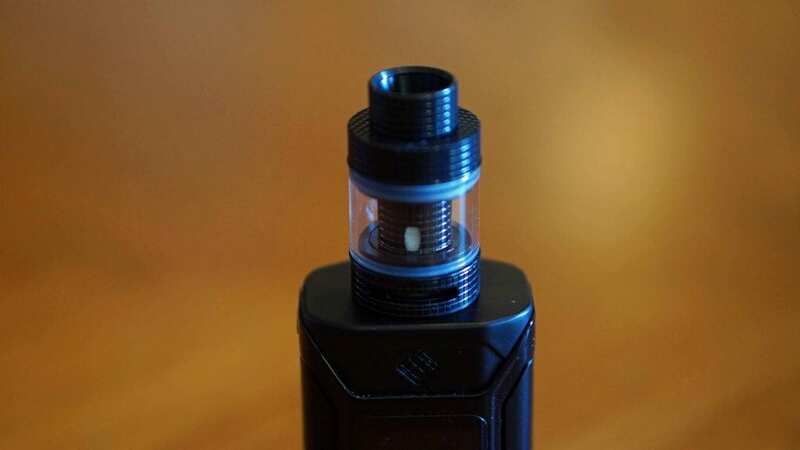 Once you open the plastic case, you’re met with the Fireluke Mesh Tank and underneath it is where you’ll find the spare coil head, replacement glass tank section and spare o-rings. Upon first looking at the tank, the first thing I noticed was the knurled design. There is knurling literally everywhere on this tank including the coil head. which was quite surprising. I can already see some vapers not liking this design, but if you do enjoy the whole knurled look, you’d probably like how this tank looks. It’s definitely different than what we’ve seen recently when it comes to sub ohm tanks. The Fireluke Mesh Tank is on the shorter side, but it does hold 3ml of e-liquid, which is respectable given its size. The top fill is pretty simple, and is what we see with most sub ohm tanks and RTAs. In addition, this tank does come with a knurled 810 drip tip, and you can use your own preferred 810 drip tip if you’d want. There is no 510 drip tip adapter included, so this is a subjective con. Personally, I mostly use 810 drip tips, so it wasn’t a huge deal for me. The airflow is easily adjustable and is located at the bottom. I did receive the stainless steel variant in the black color, but there are tons of other colors now available, including a new Resin and Carbon Fiber edition. Some of the colors available are Black, Blue, Gold, Gun Metal, Purple, Rainbow and more. This is definitely a pro in my opinion, as it’s always a good thing to have options. Like mentioned earlier, the coil heads do also feature the knurling design. The coil heads itself is what really makes this atomizer stand out from the rest as from my knowledge, there aren’t any other new sub ohm tanks on the market that feature Mesh replacement coil heads. The issue with mesh for some vapers is getting it wicked properly, and for me, I simply don’t enjoy building with mesh nor wicking. Now, with a stock coil head, this eliminates these potential issues, and you can really see if you like how Mesh vapes in comparison to other coils such as Kanthal, NiChrome and others. Overall, my first impressions of the Freemax Fireluke Mesh Tank were great! I was most excited to actually see how these new mesh coils perform, but we’ll first get into using the tank on a daily basis. The Fireluke Mesh Sub Ohm Tank sports an overall base diameter of 24mm, which is pretty much the standard now, so it’ll look great on most box mods you attach it to. As mentioned earlier, it does include a knurled 810 drip tip, which I initially thought it would have been uncomfortable, but ended up being just fine. It did take a short amount of time to get used to how it felt on the lips, but honestly, it’s not uncomfortable. If you did find it uncomfortable or simply didn’t like it, you can easily replace it, which is always a good thing. I do wish they included a spare drip tip just in case if some vapers didn’t enjoy the stock one it comes with. This tank also features a standard 510 connection, and it did make a connection with every vape mod I attached it to with zero issues. The coils, which are rated at 0.15 ohm, did read at that resistance as well. I’m not exactly sure what material the coils use, whether Kanthal, Ni80 or Stainless Steel, which can be seen as a con. I do think companies should label their coil heads with the material used, so we know whether or not we can use them in temperature control mode. The top fill design is quite simple and is threaded. It does have a decent amount of threads, so it’s not very quick to open and fill. It’s not bad by any means, but I’ve seen some tanks come with very little threading where they pop off with just 1 turn. The fill ports are quite large, and there are multiple to let the air escape while you fill. The fill ports are large enough to accommodate pretty much any e-liquid bottle, which is a pro for me. Honestly, this is a pretty straightforward sub ohm tank with nothing ground breaking, so using it is pretty easy. The biggest question is how do these new mesh coils perform, which is what we’ll cover next! The Freemax Fireluke Mesh Sub Ohm Tank includes 2 of the same replacement coil heads which are rated at 0.15 ohm. These mesh coils are rated between 40w and 90w, so I would say this is more of a mid wattage vape tank. I filled this tank with one of my favorite dessert flavored e-liquids which is Loaded E-Liquid Glazed Donuts. This e-juice is quite heavy on sweetener; therefore can be considered a “coil killer”. I did want to see how these mesh coils would handle very sweet e-liquids, hence is why I used this one. There is a pretty standard break in period with these coils, and I would say about an entire tank before you get full on flavor. Before vaping on a new coil, be sure to always prime it with a few drops of e-liquid and wait between five and ten minutes before vaping it. I also recommend to start on the lower side when it comes to wattage and build your way up to your sweet spot. This also helps with breaking in the coil as well. Once the coil was fully broken in, the flavor was very good and I was getting all the flavor notes from the e-juice I was vaping. I would say the flavor is above average when compared to other mid wattage sub ohm tanks. The flavor is not like an RTA or RDA of course, but really good considering it’s a stock coil head. I was surprised by the flavor these mesh coils were providing and was pretty impressed overall. I was more impressed by the coil longevity. I was vaping Glazed Donuts for two weeks straight with many tank refills and with nearly two weeks of vaping, the coil still hasn’t slowed down when it comes to perform. I’m still getting really great flavor, and it’s wicking just fine. These mesh coils by Freemax are definitely impressive and some of the best in my opinion. It’s really that good. When it comes to wattage, I did prefer to vape these coils between 55w and 65w. At these wattages, I would get a warm and satisfying vape experience. The vapor production was top notch and certainly satisfying as well. I wouldn’t call this a cloud chasing tank, but the vapor production is solid. For the airflow, I would close it off just a little bit. It’s fairly airy with the airflow wide open, but there is a slight restriction there. The airflow is also a bit turbulent and pretty loud when it’s wide open. When it’s closed off just a bit, it smooths out and not nearly as loud. This is a con for me, but not a deal breaker by any means. As mentioned previously, the e-liquid capacity of this tank is 3ml, which is pretty decent. It’s not the most, but certainly not the least. Vaping this tank at 60w, I could get a few hours of vaping on and off before needing to refill. I wouldn’t say these coils chug juice, but depending on how you vape and the wattage set, will determine how much you have to fill it. Overall, I was quite impressed when it came to the performance of the Fireluke Mesh Tank by Freemax. These mesh coils are solid performers and last a very long time before, which is always a good thing! In conclusion, the Freemax Fireluke Mesh Tank is a fantastic sub ohm tank that offers not only innovation, but excellent performance as well. Freemax did a terrific job with both the tank itself and the coils, and I must say that this is a wonderful addition to the line of Fireluke sub ohm tanks. Although the performance of this tank is great, there were some cons. The biggest for me was the loud airflow when it’s wide open. If you’re a vaper who prefers to be discrete while vaping, then the loud airflow might be a turn off for you. However, when you do close it off just a little bit, it does smooth out and is not as loud. The other cons were subjective, which are the fact that there’s no 510 drip tip adapter, and the knurled design. Honestly, the looks of the tank did grow on me after some time using it and there are other new versions available such as Carbon Fiber and Resin. With all that being said, I do recommend this sub ohm tank, especially for those interested in seeing how mesh vapes or simply want a solid performing vape tank that has long lasting coil heads. It really is that good of a performer, and definitely interested to see what’s next from Freemax. I am so totally excited about this mesh sub ohm tank! I ordered the purple resin & it should be here by 1/18/2018! The simple fact that it’s a mid-range tank with (hopefully) tons of flavor & coil longevity is what did it for me. So many great flavor tanks have to be used at 70 watts or better, and 50-55 is my sweet spot. I can’t wait to get mine!